Only the bravest KCTC members drove in torrential rain to Dave and Janes house but WOW was it worth the drive! We always eat well at this WNR and the cookies are the best you will ever have. 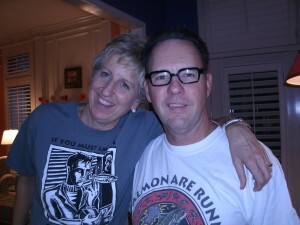 Jane and Dave met at Wed Night Run many years ago so we take credit for their success!